Aroma Spa Retreat Sanur Bali, Sanur Bali, Kota Denpasar. Information, Photos and Reviews. 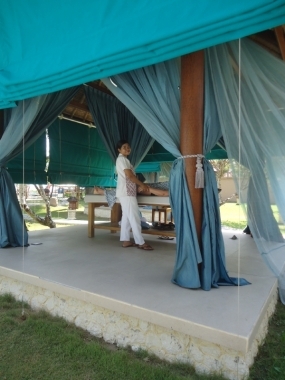 Aroma Spa Retreat is the best spa in Bali. 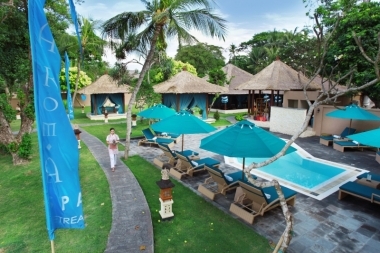 It is the only spa in Bali that has won 6 consecutive Trip Advisor Awards since it opened. What better recommendation than the people who have been to the spa and loved the experience as a recommendation! Nestled on the beach front of the Prama Sanur Beach Hotel the spa has extensive traditional gardens with an option to have a treatment in a luxury outdoor Bale listening to the lapping of the ocean or in the privacy of premium rooms. The spa features natural organic treatments that are designed to compliment each other and increase your sense of well being and relaxation. We also offer the amassing anti aging TDA machine treatments that infuse a natural facial with moisture making your skin feel and look fresh and reducing lines. The Aroma Spa Retreat one day Retreat is our signature offering join us for 8 hours of relaxation pampering and leave us in a better mental and physical state. So many clients comment that the 8 hours slipped by in a haze of total relaxation and that they felt a dramatic difference in their well being and their physical presentation. Just a beautiful way to spend a day of your holiday getting back in touch with yourself. Leaving your hotel and waiting for that plane to depart can also be a disappointing end to your holiday Aroma Spa Retreat has developed the airport chill package 6 hours with a pick up from your hotel and delivery to the airport relaxed refreshed and ready for the flight home. Aroma Spa Retreat has quality treatments for everyone from a massage to a package our extensively trained therapists and European cleanliness standards will separate us from the rest of the spas in Bali. 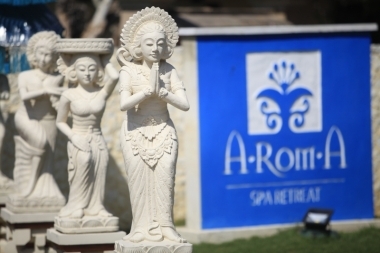 Make your holiday complete have a day at Aroma Spa Retreat in Sanur and refresh. 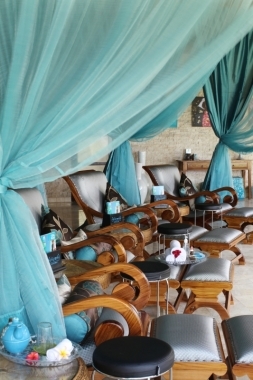 Nobody has reviewed Aroma Spa Retreat Sanur Bali yet, Be the first. You are submitting a booking enquiry. 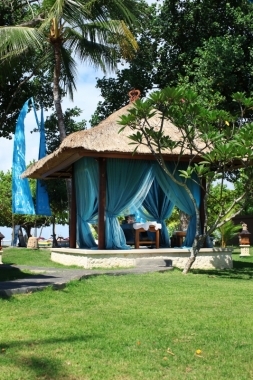 Aroma Spa Retreat Sanur Bali will then contact you by email with details of availability and prices.